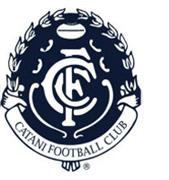 The Catani Football Club is a community based club aimed at developing the game of football at all levels in our district. We are a well supported family club famous for our social events and friendly atmosphere. This social activity is most important for our club as we do not have a business district or school at Catani however through the support of our members, supporters, sponsors and senior players we are able to provide football to the three junior teams free of registration fees and charges. It is with pride we can say our senior team has participated in the last nine EDFL finals series winning 2 with an additional premiership for the under 13’s. 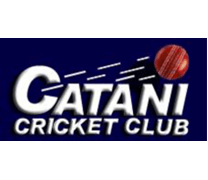 The Catani Cricket Club is a small community based club, which is affiliated with the WGCA (West Gippsland Cricket Association). We currently have 2 senior teams and 1 junior side. As a town without a business district we rely heavily on the community and sponsors to provide much needed resources, that help enable us to offer free membership and equipment for our juniors. As one of our consistent sponsors, we kindly thank Stockx Business Services for the support to youth development they have provided to our club! 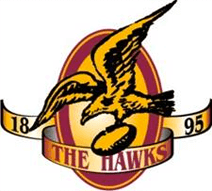 With a tradition spanning 119 years since formation in 1895, the Monbulk Football Netball Club is one of the oldest football clubs of any code. We pride ourselves on providing outstanding facilities and sporting opportunities for our town and surrounding district. With continued strong support and interest in local sport, our Committee will field teams in the Yarra Valley Mountain District Football League competition again this season, with representation in Seniors, Reserves and Under 18’s and as well as again incorporating three Netball teams. This represents registrations of well over 100 players and their families from Monbulk and local surrounds, and as such we strive to maintain our reputation as one of the most successful family clubs within the region.